Offering you a complete choice of products which include Industrial Bottles such as Plastic Spray Bottle, Pet Bottles, Hdpe Bottles For Dry Syrup/Suspension, Plastic Bottles For Eye /Ear /Nasal Drops, PP Bottles For Syrup/Tonic, Dropper & Spray Bottle and many more items. 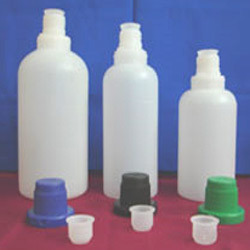 We are engaged in offering a wide range of Plastic Spray Bottle to our prestigious clients. 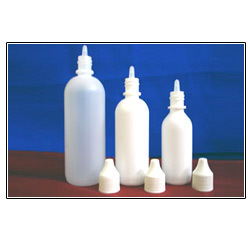 These bottles are manufactured using supreme quality plastic material. These products are tested by our quality analysts in order to ensure that these are of standard quality and in compliance to both national and international market standard. 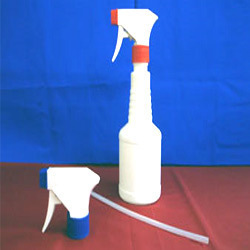 Our clients can avail from us a compendious array of Dropper & Spray Bottles. Being light in weight, durable and leakage proof, our bottles are widely demanded by our clients all across the globe. These are available with varied storage capacities such as 50 ml, 100 ml and 200 ml. We also offer customization services in these products as per the specific requirements of the clients. Available with us, an unmatchable range of Upper Handle Bottle 1ltr that is manufactured using food & drug grade plastic material, which is procured from the established vendors of the market. Quality experts present in our structure test these products on several parameters to ensure that the products are designed in accordance with international market standards. 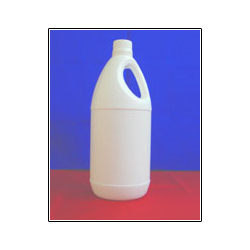 We are engaged in offering a wide collection of Acid Bottles to our clients. These bottles are designed by our professionals in accordance with international market standards. Our quality controllers test these products on various parameters in order to supply an immaculate range of products. This range of bottles is available in various storage capacities such as 500 ml, 725 ml and 1liter. Looking for Industrial Bottles ?